Ice hockey conditioning made easy! If you are a coach or a player who has loads of questions and little time to study how to train smart and effectively, The Hockey Conditioning Handbook is for you. This ebook pulls together a multitude of information about hockey conditioning and puts it into a few simple principles that, when applied consistently, will make players faster, stronger, and last longer at the high tempo hockey needs to be played at for success. This system, developed by two best selling hockey conditioning experts, has been used by major junior, college and pro players to improve their game performance and has advanced and even extended careers. We have used these training techniques over the years with players in the Detroit Red Wings, Edmonton Oilers and Ottawa Senators organizations. When you apply The Hockey Conditioning Handbook training principles you will develop quicker foot speed, faster skating, harder shots, and more powerful checking. The book shows you how to apply the principles of training in the off-season, pre-season, in-season, and post-season. The Hockey Conditioning Handbook also provides specific examples you can use when putting together your practice sessions. What could be easier? P.S. 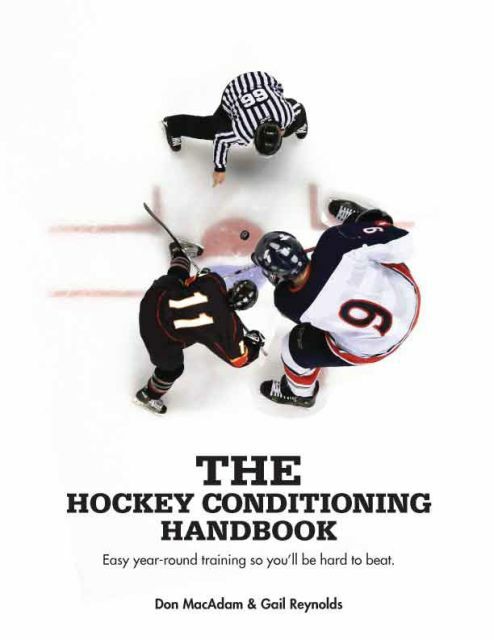 Buy The Hockey Conditioning Handbook now and get two great coaching tools FREE. The Drill and Practice Log will provide you with a tool to plan drills and practices and develop a way to compile a log for future reference. The Game Coaching Card is a ready source of information for the coach during games and a way to record game information for future reference.